The duty of a film director is to comprehend a book or a script which is required to be translated into a visual film. This means that a director has to manage all the creative aspects of the production as well as he needs to fulfill the demands of the producers. A director must speak the language of an actor, editor, camera operator, sound engineer and so on so as to successfully accomplish the making of the film. Therefore, directors must have technical, creative, interpersonal and leadership skills so as to manage all the responsibilities of his job and that are the financial and the creative success of a film. To begin the journey towards becoming a filmmaker is simple: you just need to build those skills which are necessary for a successful entry of yours into the film industry. There are several skills that everyone – from directors to editors – must actually have. By inculcating these 4 listed skills, every filmmaker who wants to succeed will be able to efficiently play his role in making films. Management and Leadership Skills: Management skills are vital. 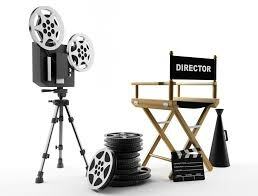 Every director needs to keep the big picture in his mind so as to pay attention to the detailed particulars. This comes down to employing appropriate personnel, organizing, scheduling, delegating, decision-making about the various tasks that he needs to get done by various people like cameraman, singers, spot boys and so on. Such management skills get a work-out on a daily basis. Above all these things, a director must lead, inspire, build trust and respect so that the people who are involved in the film production may support and fulfill the director’s vision. Technological Expertise: As a filmmaker, you need to have technical experience so as to do the job right appropriately. Every filmmaker doesn’t have to be an expert in every element of the filmmaking but it’s important to at least know what a good shot looks like and how to achieve it. It might include framing, staging, lighting, and the technology that should be used. As a filmmaker, having some technical understanding of every piece of the filmmaking process is vital as it includes the jobs of cameraman, lighting, sound, special effects, design, post-production processes, and so on. All of this is nearly impossible to learn on your own, but with the right resources, there’s a possibility that you can prepare yourself for all of the technical aspects of filmmaking. Creativity Skills: From start to finish, filmmaking requires a vision which develops the interest and involvement of everyone. No matter what, when you hope to specialize in filmmaking, you should be prepared to contribute to the creation of a film in any way that is needed. Creativity is a necessity for the directors since they need to tell stories through their films. How the story has to be narrated to the audience – the mood, timing, and pacing, visual style; it all requires strong creative vision and imagination. Being creative allows the director to work with others who use perse creativity in the film. These creative inpiduals include writers, musicians, and actors. Communicative: In any industry whereby you are holding any position, communication is the key to achieve success. When you’re working as a filmmaker on the set with the countless crew and cast members, there also you require a good amount of communication skills. Without the ability to communicate effectively, you’ll find that no amount of experience in filmmaking expertise can help you to bring the vision to the story of your film. As a filmmaker, you would be working with a number of people like sub-directors, producers, cinematographers, screenwriters, editors, and other filmmaking experts. Every person needs to have a solid understanding of their roles in that particular film. Things like inpidual instructions, film’s creative vision, how the work of one team will affect that of another, and so on have to be provided to each of them so as to get the desired results. The only way to provide that information is to make sure that you’re communicating effectively to all of them at all times, whether you’re explaining your own imaginative vision, or you are clarifying their roles in creating that film.